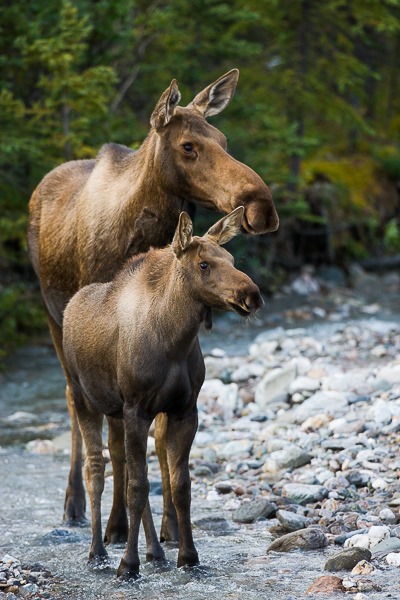 Mother moose and calf search the river banks for safety. With ears perked forward, staying alert is critical to their survival. Photo © copyright by Lance B. Carter.